Due to popular demand, we’ve started a new section- “Doing it Right”, a collection of images of men and women, simply put, doing fashion right. Our first gallery is of male celebrities- some people you no doubt have heard of, some you may have not. As expected, many of these celebrities are stylish- but some are unique and bold enough to set real standards in their industry that transcend the normal fare. Here are some of those men. 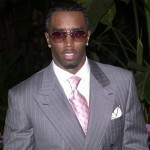 Sean Combs is a man who made rap go professional- I'm not kidding. With his unique influence in fashion by taking suits and making them fashionable again, he has created a veritable fashion empire. His clothing line, Sean John, is urban mixed with the absolute perfection in menswear- and hey, it's not Brooks Brothers, but it's damn awesome. Pictured, Diddy's classy pinstriped suit, is impeccably tailored and accented- and carries a gangster feel that adequately connects with his rap beginnings. I agree 100% on all of these although, you kinda butchered Bruce a little bit. I know he’s got that rough around the edges look, but you picked a picture that makes him look like a dirty hobo more than anything else. Though I would actually say the Bruce Willis is kind of an oddball here, but I was really happy to see Hugh Grant on there. I’ve always had a problem with using famous individuals as examples. And it is that no matter what they do, the general populace will accept it as if it were normal, and that is why, as was said, some go overboard. This puts dents in objectivity, but hell, we’re talking fashion, nothing objective in there. Notice the terribly well fitting panama (hat) of Sean Connery (c.f: I don’t have buttons but I have a cool hat). A monkey in a suit, hardly doing it right. Despite the fact that I don’t care for Sean Combs music (etc), he certainly is reviving classic style, and for that I admire the man. Kanye West is doing fashion right? More like doing it wrong. I am actually somewhat puzzled that you did not mention Taye Diggs at all. To me, this would have been THEE obvious choice for fashion role models, if not even ranking #1 in the list (tieing with Christian Bale).